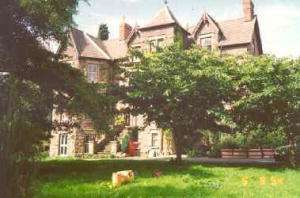 Brynhonddu Country House Bed & Breakfast01873 890535work01873 890535fax Bed & BreakfastSecluded Country house dating from the C16th set in grounds with adjacent working farm. Situated in the foot hill of the Black Mountains at the eastern end of the Breacon Beacons National Park. Close to Offa's Dyke long distance footpath. Secluded Country house dating from the C16th set in grounds with adjacent working farm. Situated in the foot hill of the Black Mountains at the eastern end of the Breacon Beacons National Park. From Abergavenny take the Main A465 north toward Hereford for 5 miles. At the last pub in the village, the Old Pandy Inn turn left. After 300 yards turn left again. After 700 yards turn right at the Lodge, up a long tree lined drive. Park in the area identified and proceed to the reception area. Please respect the privacy of the other Estate's occupants. Bus to The Old Pandy Inn. Turn under railway bridge and proceed for 300 metres and then turn left. Proceed for about 700 metres and turn right up a long tree-lined driveway. Direction signs at top of drive. Access Statement. Brynhonddu Country House B&B is set within the Main Estate House of Bwlch Trewyn Estate, in the foothills of the Black Mountains, on the eastern side if the Brecon Beacons National Park. The terrain is hilly and the roads around the property are inclined. It would be difficult for guests with more than the minimum of mobility problems, to cope with the slopes around the property if they expected to travel on foot. We have within the property stairs up to the bed room accommodation, which should cause no trouble to guests that are able to cope with normal upper floor access. Wheelchair access to the ground floor area is possible, but we have no lift facilities within the building to the upper floors.